This tasting is designed for someone who is seeking wine that represents the Napa Valley as a whole. It is an offering of the current release Adaptation wines which are sourced from the greater Napa Valley area in a more approachable style and price point. •	Available by prior appointment or walk-in appointment for parties up to 9 when available. This tasting is designed for someone who is interested in experiencing a diverse variety of wines produced by our family of wineries and crafted in the unique style of our three coveted winemakers: Aaron Miller, Danielle Cyrot, and Jeff Owens. The intense differences in the terroir of each vineyard site and the influences each winemaker imparts on the wine will become apparent in this heightened tasting experience. •	Flight of five wines. Please join us for an exclusive current release tasting that offers you a flight of our highest end wines and a look behind the scenes at the creation of our Stags Leap Estate. 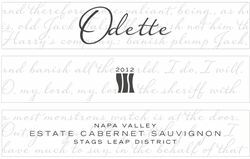 This select flight focuses on and compares our Odette Estate Stags Leap, CADE Estate Howell Mountain and PlumpJack Estate Winery Oakville AVA's with special attention to the nuances between each appellation. Guests are welcomed at the tasting bar with a splash of refreshing Sauvignon Blanc or Chardonnay and have the opportunity to take a walking tour of the estate at the start of their visit. They are then seated in our Estate Lounge for an elevated tasting experience. •	Semi-private. Available by prior appointment for parties up to 10. *Larger parties considered, weather and space permitting. •	Guided educational walking tour. •	Private tasting including our highest end current release wines. Complete your Napa Valley Experience with a private lunch at our picturesque Stags Leap property in the Estate Lounge. Enjoy a three course meal expertly paired with our highly coveted wines crafted by winemaker Jeff Owens. After your hunger is satiated, take a walking educational tour of our organically farmed, sustainable Estate featuring 40 acres of CFO vineyard and our Gold LEED certified winery facility nestled into the Palisades of the famed Stags Leap AVA. •	One seating per day Scheduled at noon by prior appointment. At least 72 hours in advance. •	Available by prior appointment for parties up to 10. Odette Estate Winery is certified under the Napa Green Winery Program by the Napa County Department of Environmental Management (DEM) and the Association of Bay Area Government’s (ABAG) Green Business Program and completed all the regulatory components needed for environmental sustainability. These components included developing water and energy conservation methods, preventing pollution, and reducing solid waste. In addition to developing sustainable winery practices, this program is set to become the standard for the state of California. Odette Estate Winery is certified under the Napa Green Certified Land Program. Odette Estate Winery has created and implemented a customized farm plan with measured results that addressed all aspects of its property, vineyard land as well as non-farmed land, including practicing soil conservation, water conservation, stable drainage, riparian corridor enhancement, fisheries and wildlife habitat enhancement and long-term improvement and sustainability.